A celebration of African culture, businesses, travel guides, terrain, people, attractions, and all that is the motherland. Home of Afro-Preneuers Podcast. In Africa, you will meet innovative and inspiring start-ups on daily basis, and every now and then you will meet at least one that will get you really excited. As travellers we are often at awe at the sheer volume of enterprise that Africa boasts of. One business person in Zimbabwe described this as an adaptation mechanism that is becoming hardcoded into all of his countrymen. Where there is hardship and very little help from the government, it becomes the individual’s responsibility to make a difference. Will you sink or swim? Doing business in Africa takes a certain amount of grit. There is room for free enterprise, perhaps more room than most other parts of the world, yet there is also the least help available to anyone looking to venture into this. In most countries, you are only a decent business proposal and a few emails away from getting some sort of help. This is hardly the case in Africa. Most businesses are bootstrapped, started with almost no means. African entrepreneurship is driven by two factors; the need to solve everyday problems and the need to make some money as well as provide jobs. There are so many problems that are waiting to be solved in Africa, which makes Africa investment somewhat more straightforward. The selective nature of international media means that investors know very little about Africa. The little that they know is cause for concern. They read about mismanagement of funds by the governments of several countries. They read about high levels or corruption. The number of reasons why Africa is a risky venture mount. One thing that we miss in all of this is the vast amount of opportunities that remain untapped in Africa. Some of the world’s fasted growing economies are in Africa. Africa has one of the youngest populations in the world. Most of the countries speak English as a first language, which will make things easier for the English speaking investors. Resources for manufacturing are readily available locally. The weather is great, you will enjoy your trips there. Here is a list of start-ups from Southern Africa which are either making a great difference to the community or have a great financial impact. Note: This is a compilation of hottest start-ups in Southern Africa. The order in this list does not imply a ranking or chronology. Born and brought up in the Harare suburb of Kuwadzana, Zimbabwe , Sangulani Maxwell Chikumbutso, a Form 2 school dropout dropout is consistently thrilling the world with his serial inventions. He has recently been into headlines for his super-innovative inventions which include an eco-friendly power generator can generate electricity by revealing an undisclosed substance to radio wavelengths- the first of its kind, an electric powered non-fuelled ca, a multi-fuelled two-seater helicopter, a special drone and many more. This young, prolific inventor has been given a new home at California by the US government; the new head office of Saith Holding Inc. is now in California. Local media in Zimbabwe as well as bloggers have been guilty of not covering this story until foreign businesses were starting to fly in after taking interest in what Saith was doing. It is very difficult for one to tell whether Saith as a business is making any money. In an video interview with Pastor Evan Mawarire, Max mentioned that most of his revenue was coming from microchips that had been licensed to Israeli businesses. There are still a lot of skeptics that are not buying into any of this at all. Have a look at the video below. We will also post some links to articles about Saith from other websites. Zimbabwe’s Dr CADx is working to save the lives of medical patients and contain the costs of treatment through a computer aided diagnostic system, increasing the accuracy of doctors in diagnosing medical images and at lower costs. Dr. CADx will greatly improve the quality of patient management by deploying a artificial intelligence system that will be available 24X7, even in remote areas thereby saving lives of people living in marginal areas of the world. Dr. CADx is using a technology called deep learning to develop an application that can understand and interpret medical images to give reliable results. 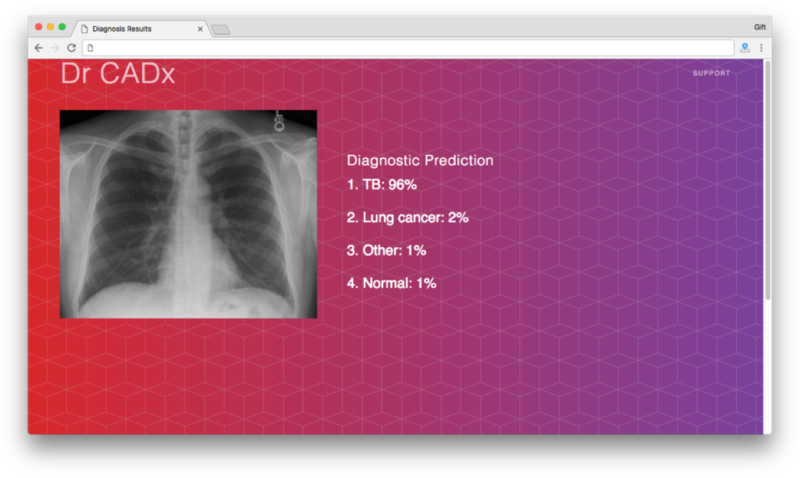 Their prototype has been able to achieve an accuracy of 82% in identifying chest x-rays of people with lung cancer or heart disease, which is significantly higher than the average for radiologists. Dr. CADx has been nominated for the Innovation Prize for Africa and has been named as a leading global innovator in 2017 Disrupt 100. The gentlemen behind this amazing piece of technology, Gift Gana and Tatenda Madzorera started off by developing a device that could recognise bird species. A light bulb moment led to the realisation that there was more that this technology could be used for. Dr. CADx is trained by being supplied with a lot of medical images to learn from. This builds on the ability of artificial intelligence to learn and to improve its skills with more and more exposure. Imagine deploying more and more of Dr. CADx in areas of the world where there is a shortage of staff or funds. It would undoubtedly save a lot of lives. It is currently doing the rounds in various parts of the world looking for partners and funding. We hope to see Dr. CADx used, especially in Africa. Bitfinance, which was launched in December 2014, has chalked out an easy and convenient way for anyone to buy/sell bitcoin in Africa. BitcoinFundi, their Flagship product is an online exchange platform that allows people to buy, sell or accept bitcoins. The bitcoin startup has raised additional funding in December 2016 from a local angel investor to aid it expand operations and BitcoinFundi exchange’s user experience. With an undisclosed amount of funding from Taurai Chinyamakobvu, a local angel investor, the company plans to expand its operations beyond Zimbabwe by opening its bitcoin exchange BitcoinFundi to other African countries. For those that may not be aware of this, bitcoin is a crypto-currency. It is traded and moved electronically, with no physical elements one can speak of. Zimbabwe has constantly battled with cash crises, stretching from 2008, if I am not mistaken. A drive of this nature, if rolled out wider would potential alleviate this issue, and make it easier for businesses to run smoother without having to worry about cash. The BitcoinFundi is the platform which BitFinance built to allow users to login and trade this currency. You can login to trade your Bitcoins into actual currency or the other way round. You also have the ability to withdraw funds from your account into bank accounts. I took the liberty of going to try out their platform just to see how far they have gone so far. The sign up process is pretty straightforward, we all hate filling in tedious forms. I was signed up and logged on within a minute or two. 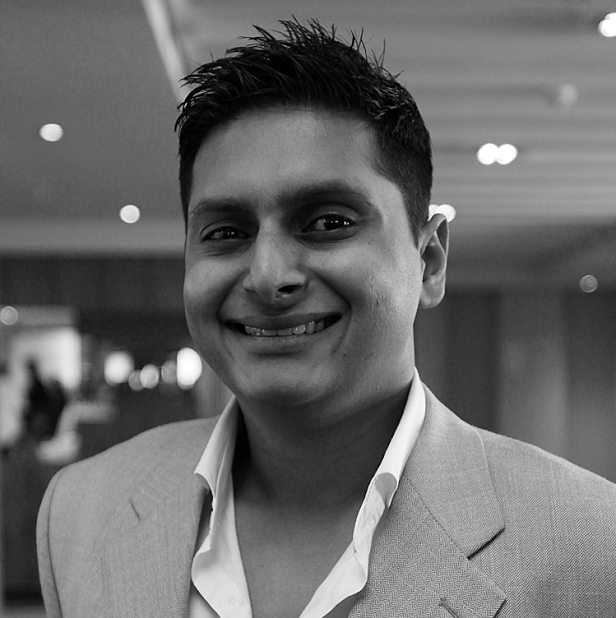 Their platform is the sort of standard that you would see when you log onto most trading platforms. This one is mainly focused on BitCoin. I was a bit concerned about the notice explaining how they had suspended withdrawals. After reading their blog post to explain it, as well as some BitCoin news it made sense. I wish these guys well. If you are in Africa and want to invest in BitCoin, I’d encourage you to check them out. While we still have BitCoin in mind, allow me to present Custos Media Technology. They are leveraging BitCoin as a way to raise the game in the fight against piracy. CustoTech uses a unique and highly innovative technique to provide a simple and sustainable solution to the problem of media piracy by using Watermarking technology and bitcoins. Their technology turns downloaders of pirated content against the uploaders by rewarding them in the form of bitcoins! Generally, before a movie, eBook or another digital media is released, some copies are sent to certain individuals for review, quality assurance, or complying with legal requirements such as censorship. What CustoTech does is it imperceptibly marks each of these copies with a watermark. This marking conveniently and reliably identifies the recipient of the media file. When an individual downloads a pirated content, he is rewarded in the form of digital currency, i.e. bitcoins, which is embedded directly in the media file sent to the original recipient. When the individual claims his reward, Custos immediately detects the leak and informs the client about the original recipient of the file. For instance, if someone buys media that Custos Media has encodded their technology onto, and uploads it online. It would be very easy to link the files to the uploader, or the purchaser of course. This places responsibility on every purchaser to make sure they do not illegally distribute the stuff that they buy. It’s a no brainer right? I mean, I wouldnt want to get into legal trouble for sharing something that I have already paid for. It’s just not worth it. Why is this not the industry standard already? I believe, it would punch piracy right where it hurts. It would take a lot more work to get beyond that gateway. Technology will evolve and there will be newer ways of pirating, but for now, this is a stop to the way things are being done. The three founders, Herman Englebrecht, Fred Lutz and G-Y Rooyen have raised upwards of $5.9 million in funding, according to crunchbase. Hashtag South Africa is a digital media company created to facilitate the SME, corporate and public sector for using social media, cloud computing, fibre communication and mobile application developments followings the line of National Development Plan 2030 of South Africa. Their mission is to highlight South Africa in the world map in a welcoming manner using resources of Social Media other digital services, thereby promoting the country’s domestic and international market. The company offers an extensive range of services such as, Social Media (marketing/consulting/training/strategy), web development, digital advertising, public relations, cloud computing and so on. This company is a unicorn within the environment that it is established. Africa is generally expected to follow behind the so called “first world” countries when it comes to innovation. Mr. Conrad Travis and his team are calling our bluff, as they together with the rest of the world prepare for an Artificial intelligent world. Their website lets us all know of the progress that they have made thus far. Hashtag South Africa has worked with businesses and individuals in 127 countries, have built over two and a half million communities of conversation for their clients. They have also had over 118 000 views on their YouTube content. 27 events have trended on social media as a direct result of their efforts. These campaigns have reached and engaged over 63 million people across the globe. If you would like to find out more about these guys, check them out here. Lukmani aims to address the problem of incidence and spread of fire. Their target market are people who reside in informal settlements such as shacks and slums. The visions is to limit loss of life and property caused by shack fires in South Africa and across the globe. Most informal settlements do not put much thought into safety. People reside in these places out of desperation or to save money and send to their loved ones in rural areas or abroad. Lukmani is founded on the realisation that smoke detection technology would not be useful in these areas, given the heating, cooking and lighting methods used by low-income households. It therefore uses a heat detection technique and measures the rate of rise in temperature to accurately detect the incidence of accidental fires and triggers an alarm before the fire becomes unmanageable. The device is a low cost, proactive and off-the-shelf warning system, designed for informal settlement environments. It is very encouraging to see more and more work being put into social enterprise. I believe that when more and more Africans begin to go after the issues that their communities face, development will increase exponentially. More and more African are bringing back high class education from across the globe or local universities. It is high time that these minds are utilised and supported. In 2014, Lukmani was recognised as being the best start-up globally through Science and Technology at the Global Entrepreneurial Summit. They have been featured on CNN, Forbes and other publications. Here is their presentation. Promeo allows musicians to connect with industry experts in just a few clicks. A musician can pay to get reviews and recommendations from industry professionals like A&R managers, label owners, producers etc. They also stand a chance to receive a job offer, get airplay or sign a contract if producers or employers like their tracks. I have scrubbed the web for more details on this one, to no avail. More details will be added when found. ZamSolar are shaking up things in Zambia. Throughout my travels, I have been caught up in my fair share of power cuts in Africa. What has always baffled me is how these remain unsolved. Humour me for a minute. Electricity as we know it, is generated by making use of natural resources which are converted into electricity. Lake Kariba, which is shared by Zimbabwe and Zambia generates the bulk of their electricity through turbines. As the water levels have dropped to all time low levels, so has the amount of electricity generated. What other ways are used across the world to generate electricity? Windmills, uranium and solar are probably the most common ones. Yes, solar, as in the sun solar. If there is one thing Africa has in abundance, its sunshine. Why this isn’t routinely turned into solar power is beyond me. ZamSolar is working to bring light to the homes of innumerable Zambians. It creates innovative distribution pathways to sell affordable off-grid solar products to rural villages. Rural households in Zambia today spend $6/month to $10/month on candles and batteries and have to walk for hours to procure them from cities. ZamSolar has a network of direct sales agents – Solar Scouts – who efficiently deliver solar products to rural villages. To understand the scale of this problem, I’ll throw some stats your way. 80% of Zambians residing in off grid areas live off about US$16/month. An estimated $6 of this is spent on travel to on grid areas and paying to charge car batteries and other devices. The car batteries are then used to power up television sets and radios for very little time. The cycle continues. Beyond the Zambian borders, this problem is shared by an estimated 1.4 billion other people. That is a heck of a lot of people. Besides the monetary cost that would be saved, there is also valuable travel time to be saved. ZamSolar is providing affordable, renewable and sustainable energy to Zambians. Here’s their blog. As of 2016, over a million units had been sold. James Sawabini, Thomas Smyth and Andrew Clay who are the founders, attended Duke, Yale and Dartmouth Universities respectively. We commend you, gentlemen on the fine work that you have started. Travellers from the UK will know of JustEat, Hungry House and Deliveroo. Food delivery has always been available in Southern Africa. You could call up a pizza place and get your pizza delivered. The digital age has brought more of these options to our screens. This is a leap that we are thrilled to see Africa taking as well. Tupuca is an online food delivery service provider brings a free and easy to use app to order food online. 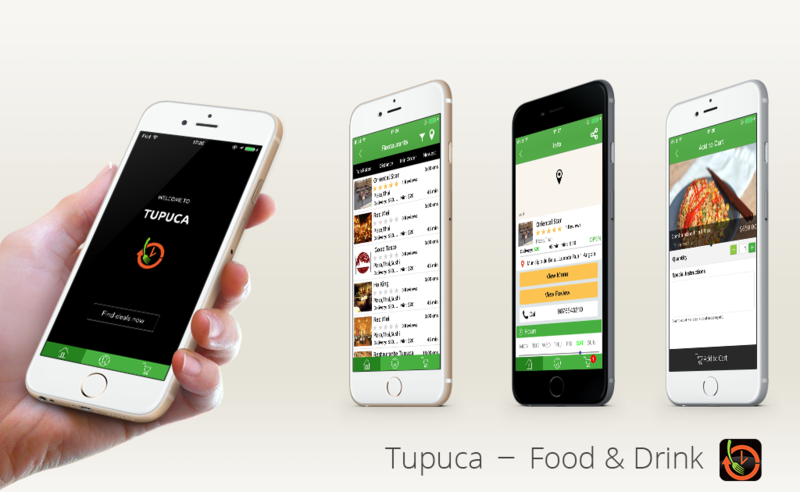 The Tupuca app offers a seamless, easy-to-navigate interface that makes ordering food a simple, fast process. To use the service, a user will have to download the Tupuca app which is available on android and iOS. They can then find the food of their choice and place an order. The app allows users choose to pick it up from the restraint or get meal delivered to their doorstep. Payment can either be made online, or upon delivery. Tupuca has partnered with some of the best restaurants to deliver the best food in the city to the users! The word Tupuca can be translated into English as “indulge.” The local market is doing just that. The process is straightforward. You download the Tupuca app on Android or iOS. Browse the cuisine on offer. Pay when you pick up or when the delivery arrives. You can choose to reorder what you ordered the last time or order in advance for a scheduled delivery. Onja is a social enterprise which empowers poor, gifted students to code their way out of poverty – Highly intelligent teenagers from extremely poor communities are taught to code, increasing their earning power by a factor of 25, who later pay forward education for future students. Onja has a live-in academy where the students are taught English and computer programming in a two-year course. After the students graduate, they are employed in Onja’s outsourcing agency to make software for international client. Onja claims that a single graduate from their academy generates sufficient income to educate seven more students. Onja is making a social difference by offering education opportunities to the poor on an unprecedented scale. Business M+ recognises that women are the driving force of Mozambican economy, yet the run their businesses largely in unorganised/informal sector. The problem is that women in Mozambique trying to formalise her business can face bullying and harassment at the hands of legal institutions. Business M+ is trying to bring business opportunities to these women by empowering women entrepreneurs, and giving them the tools and skills required for a successful business. The startup aims to provide legal mentoring and training to woman entrepreneurs to show them what the government requires from a formal business. Djuaji has recognised that there is lack of reliable data in Africa and that there is no reliable and convenient way for obtaining it. It aims to provide low cost business intelligence service in the region by means of scalable survey based research by use of mobile technology. Small and medium enterprises find it difficult to compete with multimillion dollar companies due to very limited research budget. This startup aims to bridge this gap and make the market more competitive my facilitating inexpensive and reliable source of information. Code Blue Africa (Lesotho Division) was established in 2016 by a entrepreneurship professional and four medical professionals. The company provides emergency medical trainings AED use, first aid, CPR etc and ensures availability of emergency medical equipments in the workplace, public areas and at homes. The company also disseminates essential medical information through its website, and makes people aware of existing healthcare services and medical conditions. It also provides other essential medical facilities like call for help in case of emergency, road and air ambulance services and on-site treatment for public events and gatherings. With each passing day, new Southern African startups are coming up in region, each one trying to stand out among others. Some come up with a very profitable idea to build a multimillion dollar company, some others primary aim at addressing social concerns. While some get the investment required, others don’t, while some are able to make it big, others are not. But there is one fact that will prevail- every big company was once a small company struggling for capital and revenue but had a thrilling idea that could make a change. Lumkani from South Africa have solved an issue of fire hazards in informal settlements. They have developed a fire alarm for highly populated informal settlements. Their solution protects you as well as your neighbour. We are excited to present to you an idea that the whole continent ought to embrace. Out of Madagascar is Sam Lucas and his startup Onja. They are in the business of changing lives by giving opportunities to children to learn English and Computer programming in their two year boarding scheme.